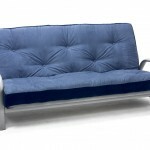 Home / Futon Sofa Beds / Metro 3 Seat Clic-Clac Futon Sofa Bed. 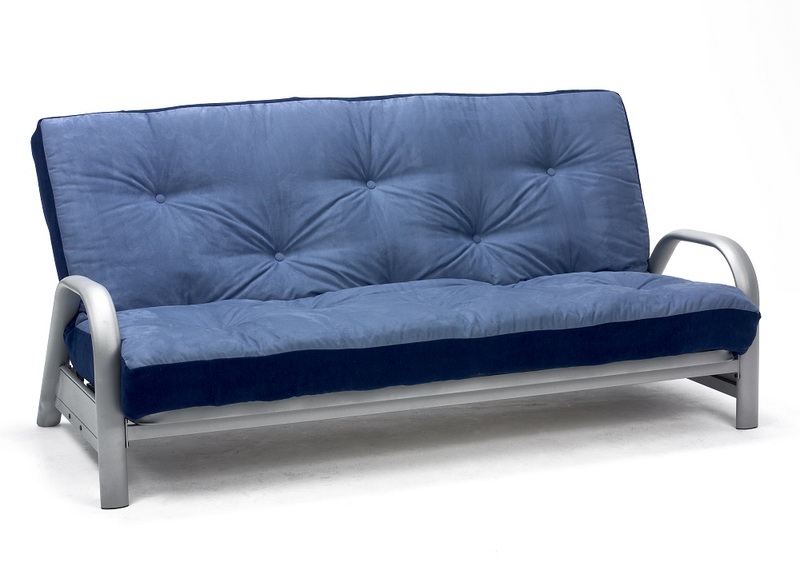 If you need a comfy, durable and easy to convert sofa bed then the Metro is a good choice. The Metro features a strong clic-clac frame and a choice of futon mattresses and fabric colours. 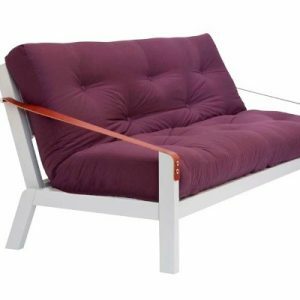 Clic-clac futons and sofa beds come in all shapes, sizes and prices but we've been offering the Metro model for over 15 years now and have to say that is has proved reliable, well constructed and easy to convert from a sofa to a bed and back again. The Metro is constructed in a strong metal frame that features a wood 'sprung slat' sitting and sleeping deck, the sprung laminate slats have an 'arching' to them to provide a comfortable and durable surface. The Metro converts to a bed, then back to a sofa, from the front, by use of a simple clic-clac action making it one of the easiest sofa beds to use. 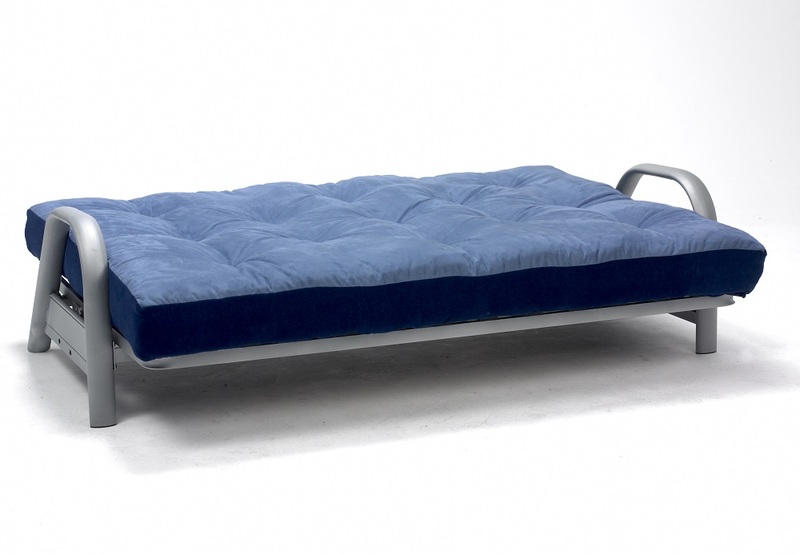 The Metro is available with a choice of futon mattress types, either our Ultra Futon, made with 8 layers of lambswool, woolfelt and polyester cores or our Deluxe featuring a reflex foam core for everyday sitting and sleeping use. 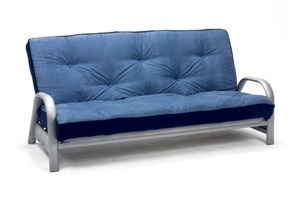 Strong and durable, easy to use clic-clac sofa bed frame, manufactured in steel with a satin 'titanium' look finish. 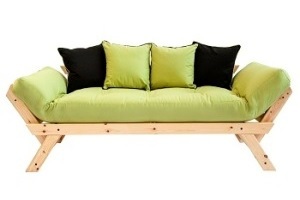 Wood sprung slat seat and bed platform for improved comfort as a seat and bed. Choice of futon mattress from our 'Ultra Futon' for regular / everyday use or our 'DeLuxe Futon' for long term everyday, heavier, use. 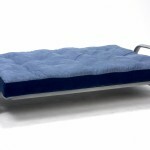 Futon Mattress choice features lambswool and woolfelt fillings with polyester core (reflex foam core on the DeLuxe), all hand made in Devon. This item is delivered to you for self assembly, please allow around 1 hour, no special tools or skills needed. The Metro Futon Sofa Bed is perfectly suitable as an everyday sofa bed for sitting and / or sleeping and, of course, as a guest room use sofa bed. For heavy use we would recommend choosing the DeLuxe futon mattress. The Metro is available from stock, if you order online we will contact you to arrange a suitable delivery date. 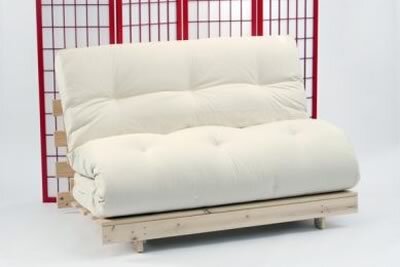 Urbane 3 Seat Clic-Clac Futon Sofa Bed.